CastNet is fun way to meet people in real life! 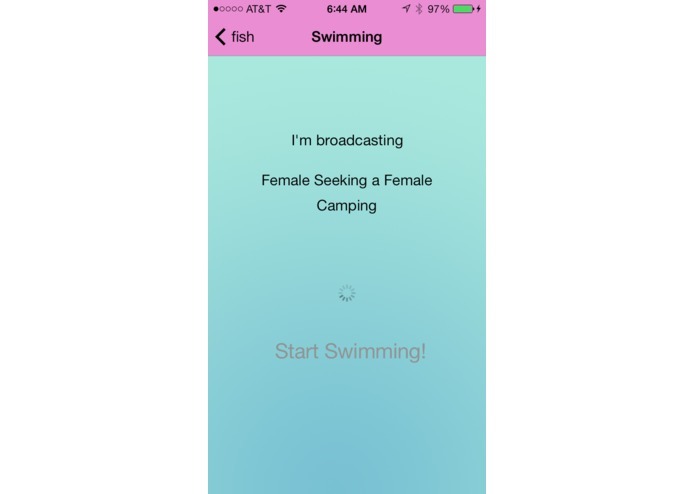 Users can take either an active or passive route with meeting people in this socialization app based on the idiom "There are plenty of fish in the sea". 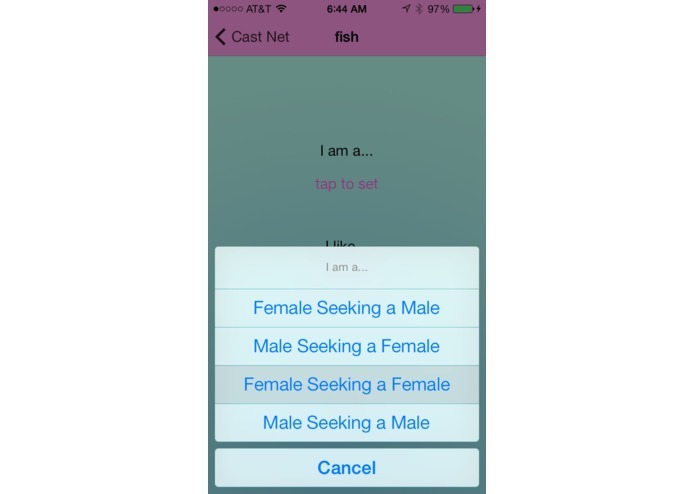 In CastNet, you can choose to be the fish or the fishr [sic]. 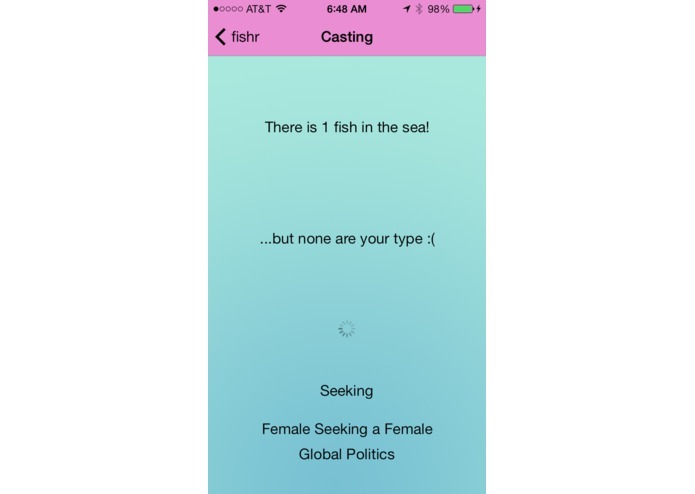 If you choose to be the fish, your advantage is that you won't have to initialize the conversations with your matches, but the downside is that you don't know what fishrs will find you in their casting net. If you choose to be the fishr, your downside is having to initiate conversation with your matches, but the upside is that you get to choose which matches to act on. Overall, this app is meant to be a fun way to meet people and start conversations. 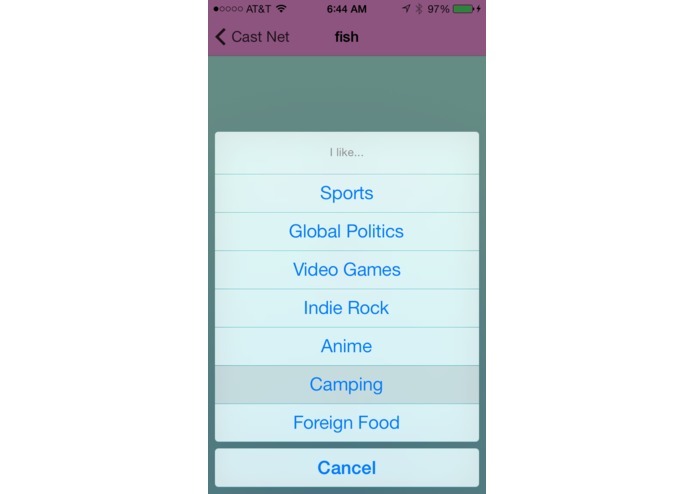 CastNet is an app that serves many purposes and hits several product categories. On the surface, it's a "dating" app, helping you to find super local singles in your area (as in, less than 100 feet of your position). But it goes deeper than that. It's a conversation starter, giving people not only a reason to talk to each other, but a topic to start discussion. It helps out people who don't like to make the first move when it comes to flirting by putting that responsibility solely on persons shoulders, and removes any awkwardness from the situation. It's also a massively multiplayer REAL LIFE video game, where you never know when you'll find yourself in a game of hide and seek with your future best friend or fiancé. And it does all of this while remaining anonymous and offline. Designed and built by Jak Tiano, Student of Game Design and Game Programming at Champlain College. 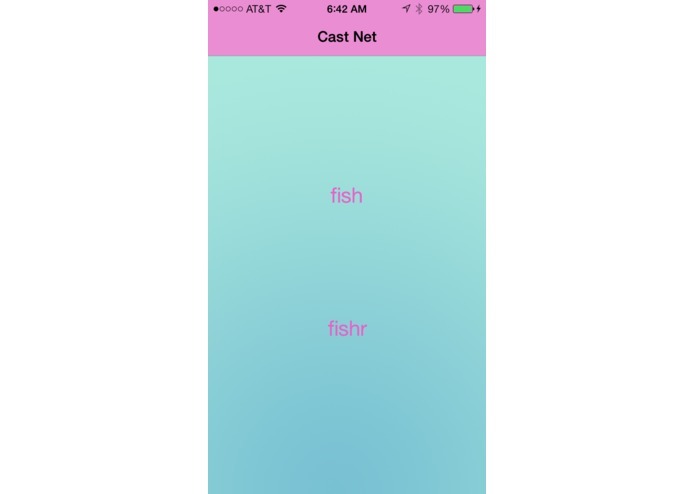 CastNet was built around the Bluetooth Low Energy iBeacon APIs found in iOS7.